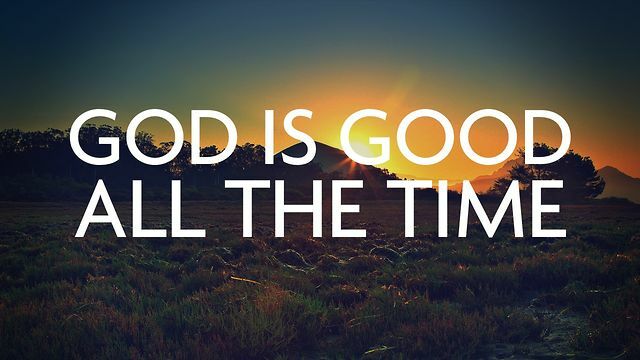 Last Sunday I recalled an adage where I say, "God is Good" and the congregation says "All the time!" To which I say, "And all the time." the people say, "God is Good!" It serves as a reminder of God's faithfulness to everyone. When we participate in communion, it acts as a reminder of what Jesus did for us on the cross. It also serves as a reminder that He is coming back for His church soon! In the Old Testament, from time to time, God would have someone build an altar unto Him out of stone. It was placed there as a monument to remind them of His faithfulness to them. That way, from generation to generation, people would be reminded of His faithfulness. Many times when we pray and seek God's face we forget to offer our worship and needs to Him on the foundation that He has already provided. Remember when you asked Jesus into your life? Remember when a Scripture in the Bible jumped off the page and spoke to you? Remember when a sermon inspired you? Remember when God did something miraculous on your behalf? Remember when He comforted you during a severe trial? Do you remember? When you pray and worship, remember what God has already done. Build your faith the love He has already expressed to you. Take time to, "Count your Blessings!" Give thanks for everything that is going right in your life. Bless Him and give Him the credit that He is due.